Criminal Defense Lawyer Mandeep Saggi will fight to have your criminal charges withdrawn. Mandeep Saggi (Principal Lawyer) Brampton Criminal Lawyer is a local Brampton Criminal Lawyer. Mandeep makes daily appearances at the Brampton Courthouse. Brampton Criminal Lawyer Mandeep Saggi is criminal defence lawyer in the Brampton courthouse. Mandeep is your will prepare your defence for criminal charges in Brampton and across courthouses in the GTA. Mandeep Saggi is a Local Brampton Criminal Lawyer. Brampton Criminal Lawyer Mandeep Saggi of Saggi Law Firm is a Criminal Defence Lawyer practising in Criminal Defence. Mandeep Saggi at Saggi Law Firm also offers representation in other Legal Services. The Brampton Criminal Lawyer Mandeep Saggi at Saggi Law Firm defends against all criminal charges. With trial experience Mandeep Saggi at Saggi Law Firm Criminal Defence Lawyer will defend you against your criminal charges. Criminal Lawyer Brampton Saggi Law Firm takes the approach that cases ought to be resolved prior to trial. Criminal Lawyer Brampton Mandeep Saggi at Saggi Law Firm indicates that charges can be withdrawn prior to trial. Withdrawal of charges prior to trial is cost effective approach and allows clients relief from criminal prosecution without delay in trial dates. Mandeep Saggi Brampton Criminal Lawyer at Saggi Law Firm is easily accessible at all times via phone. Brampton Criminal Lawyer Mandeep Saggi at Saggi Law Firm personally attends to all client inquiries and provides sound advise when you require it most. Brampton Criminal Lawyer Mandeep Saggi Criminal Lawyer in Brampton, Toronto, GTA. Brampton Criminal Lawyer will defend you against all criminal charges while keeping you up to date on all court appearances and aspects of your case. Mandeep Saggi believes in and prides itself in providing clients with quality criminal defence and support during the most difficult time of one’s life that being when they are charged with a criminal offence. Brampton Criminal Lawyer Mandeep Saggi at Saggi Law Firm is available at all times for bail hearings. Saggi Law Firm’s Mandeep Saggi Brampton Bail Hearing Lawyer will conduct bail hearings with hours notice. Brampton Criminal Lawyer Mandeep Saggi at Saggi Law Firm, who is trial criminal defence lawyer can guard your rights successfully throughout Criminal Defence proceedings. 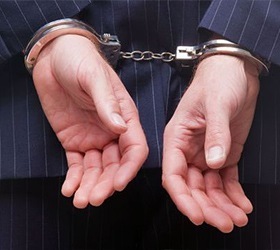 Mandeep is an experienced criminal defence trial lawyer fighting for your rights. Mandeep Saggi is an experienced Criminal Lawyer in Brampton. With only hours notice Brampton bail hearing lawyer Mandeep Saggi can ensure release. Mandeep Saggi at Saggi Law Firm has successfully represented clients requiring criminal defence counsel in bail hearings, DUI, Assault, Drug, Firearms/Weapons, Criminal Harassment, and more complex Criminal Law matters. Barrie, Belleville, Brampton, Peel Region, Etobicoke, North York,Brantford, Brockville, Burlington, Cambridge, Milton, Cornwall, Guelph, Hamilton, Kitchener, London, Markham, Mississauga, Niagara Falls, Oshawa, Woodbridge, Newmarket, Scarborough, Pickering, St. Catharines, Stratford, Toronto, Vaughan, Waterloo, Windsor, Woodstock, Ontario.